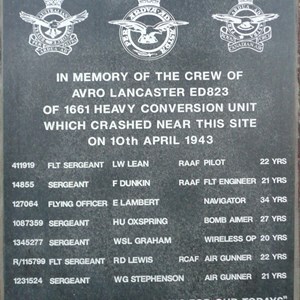 In the early hours of Saturday 10th April 1943 Lancaster ED823 belonging to 1661 Heavy Conversion Unit (H.C.U.) 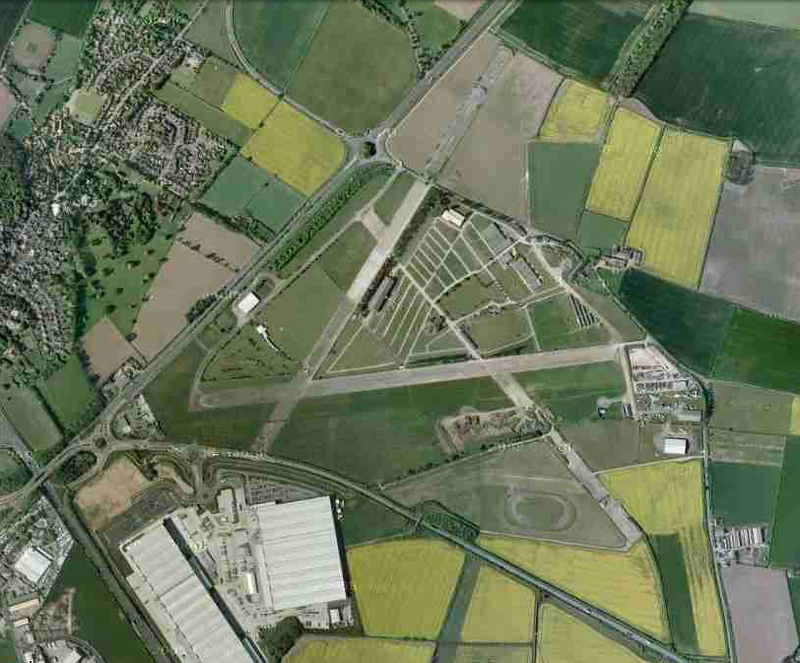 took off from RAF Winthorpe, Nr. 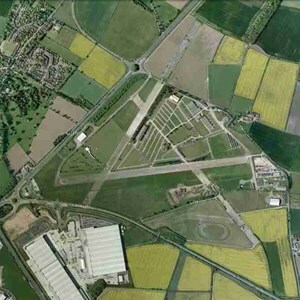 Newark for a night navigation training flight. 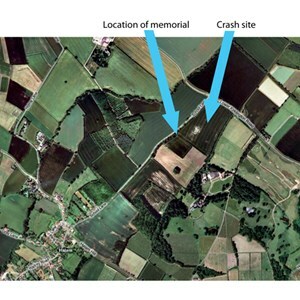 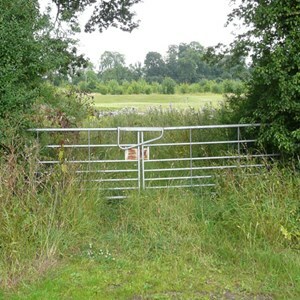 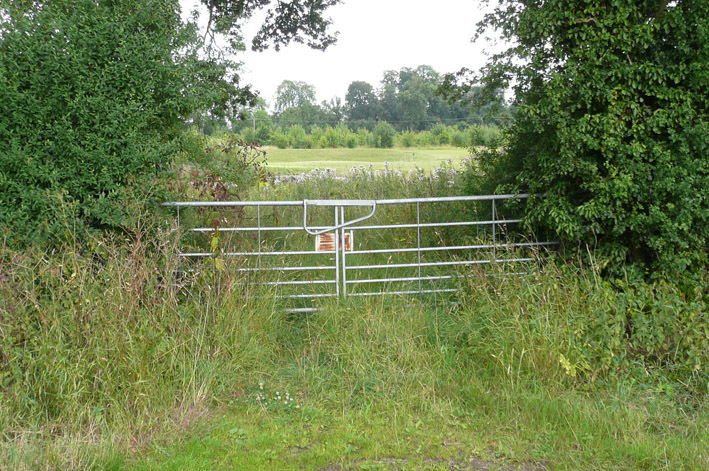 At 01.25 shortly after take-off, the aircraft crashed in Halam, just off School Lane, just eight miles from the airfield. 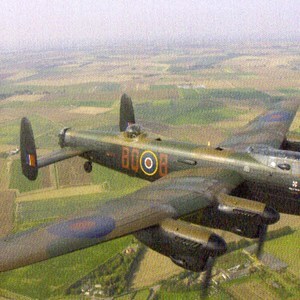 1661 H.C.U. 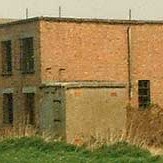 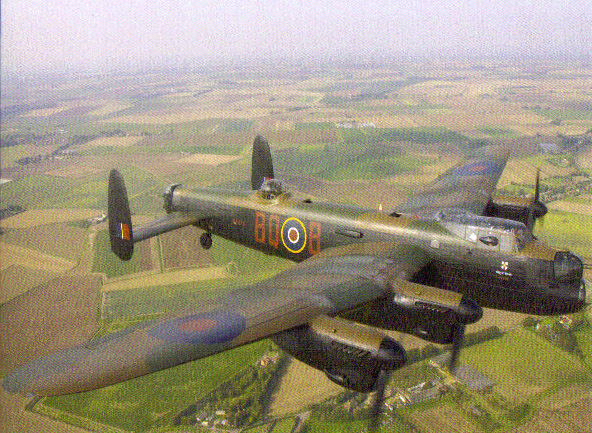 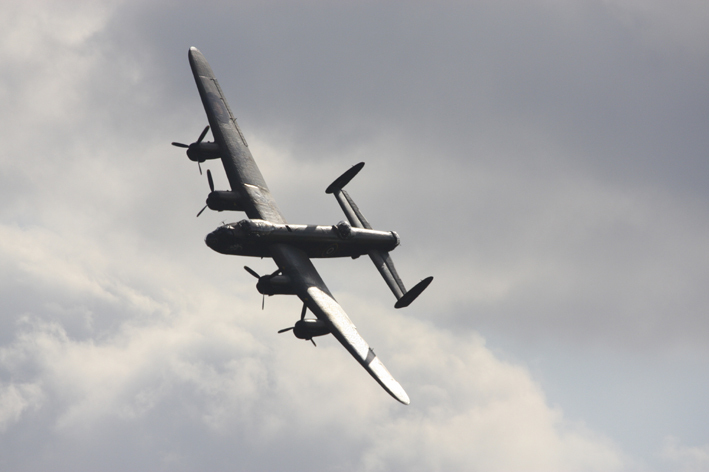 at RAF Winthorpe was a unit set up to train aircrews to fly heavy bombers such as the Manchester and Lancaster. 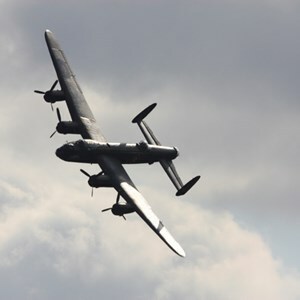 The six week course was designed to "convert" the crews from flying lighter aircraft to larger, heavier ones. 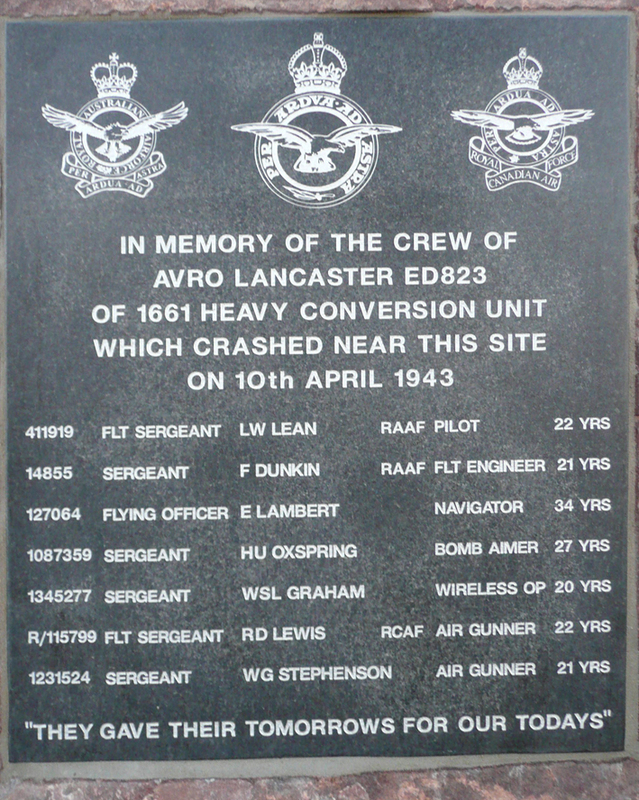 The final part of the aircrews' training course was night navigational exercises, such as the flight ED823 was making when it crashed. 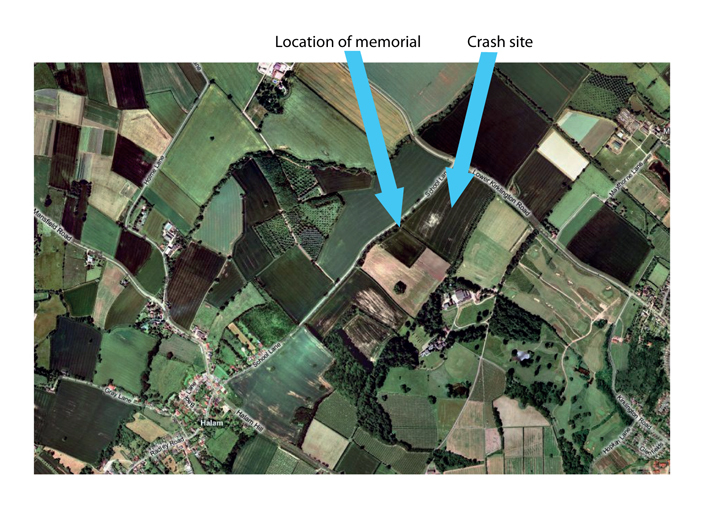 The crash site is about 1/2 mile from the centre of the village of Halam. 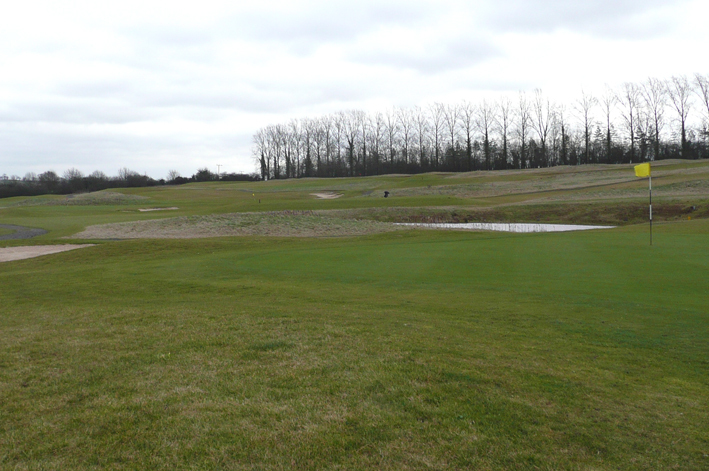 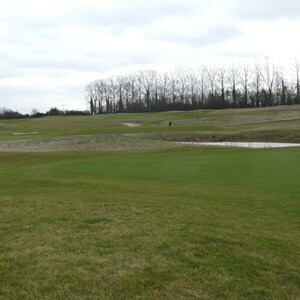 It is on the west facing slope of a gentle hill; in 1943 the field was pasture, now in 2011 it is part of Norwood Park Golf Course. 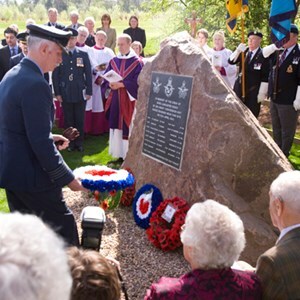 The three Commonwealth airmen are buried at Newark Cemetery; William George Stephenson is buried in Gilroes Cemetery, Leicester; Edward Lambert at Fleetwood Borough Cemetery, near Blackpool; Henry Utley Oxspring at Hoyland Nether Cemetery, near Barnsley; and William Shearer Graham is buried in the Glasgow Western Necropolis. 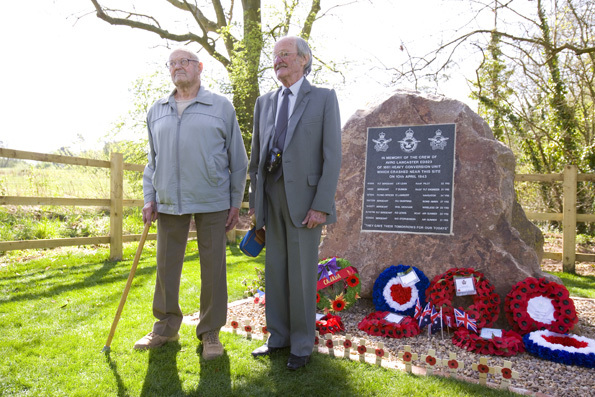 A group of Halam residents have organised the erection of a permanent memorial to these seven young men who gave their lives at time of war. 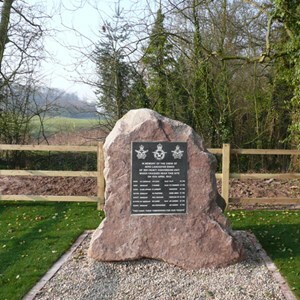 This memorial is a large stone with a carved inscription in a fenced off area of School Lane, near the crash site, with a bench and grassed area. 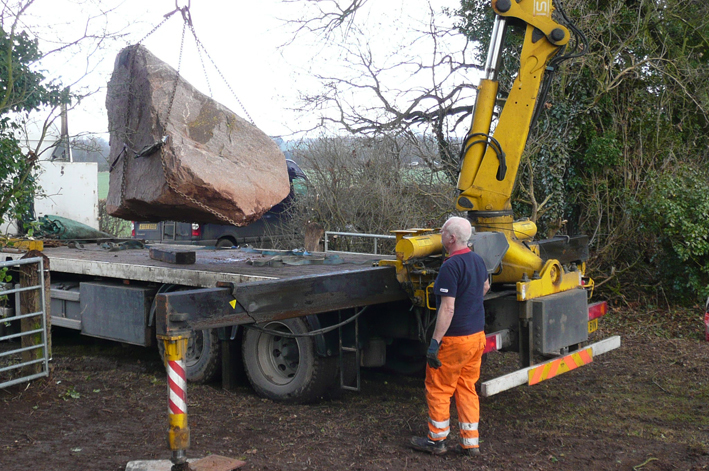 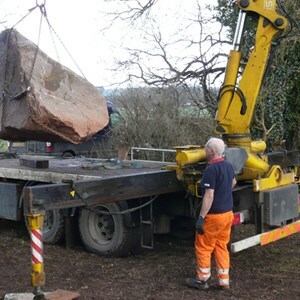 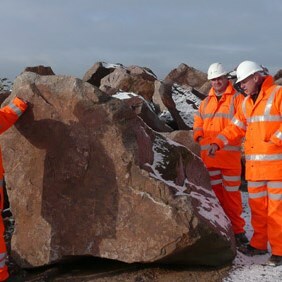 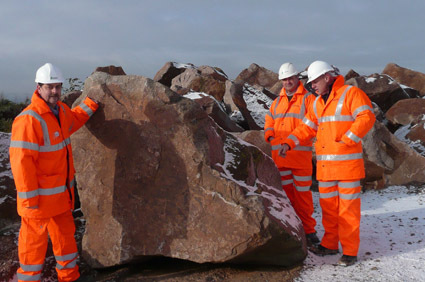 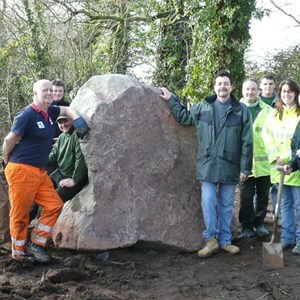 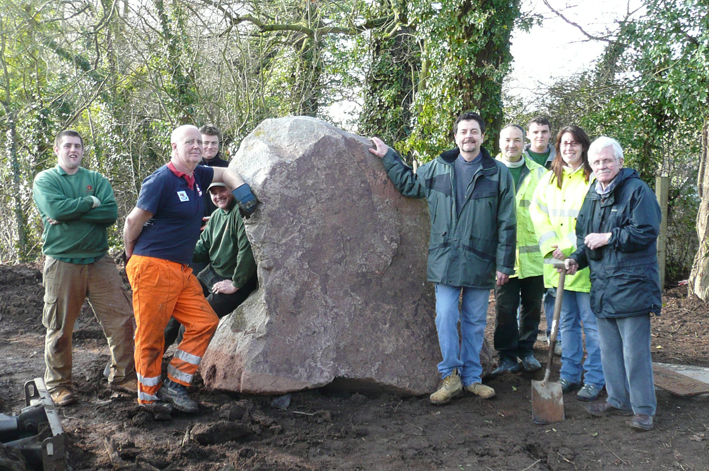 This has been made possible through the generosity of Nottinghamshire County Council "Local Improvement Scheme" (funding) and Lafarge Aggregates & Concrete UK (for the gift of the stone). 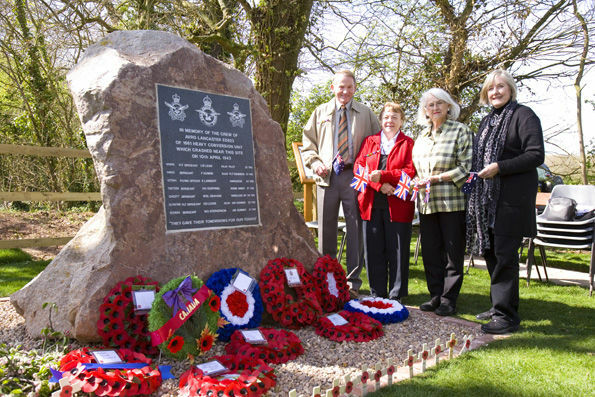 The loss of the lives of these seven brave young men was a sad wartime event for the village; when they left their homes and their families they were really no more than boys. 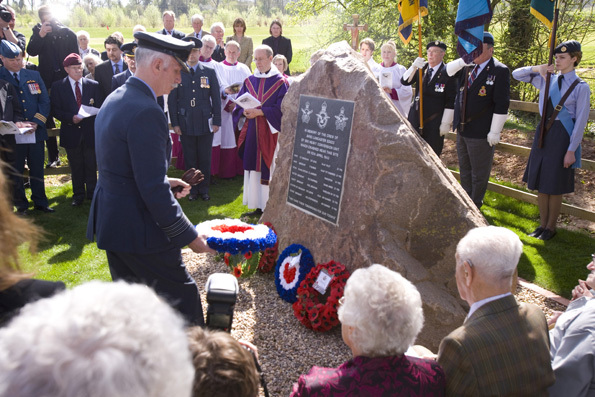 We felt that their sacrifice should be honoured. 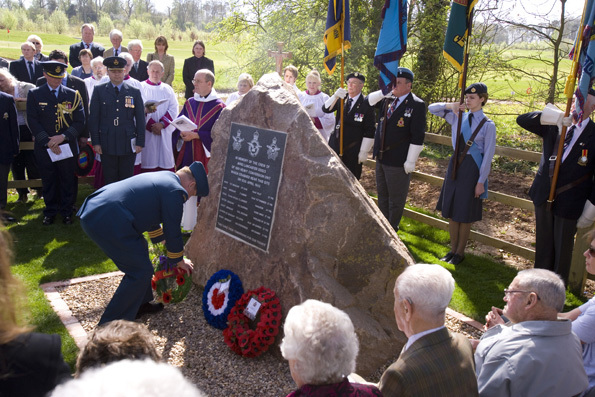 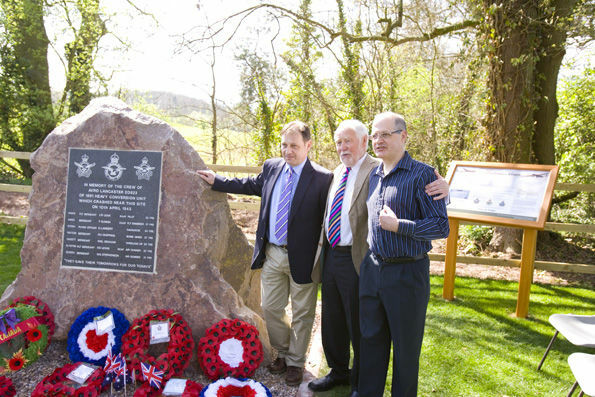 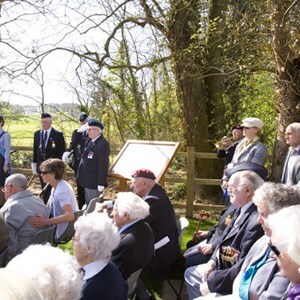 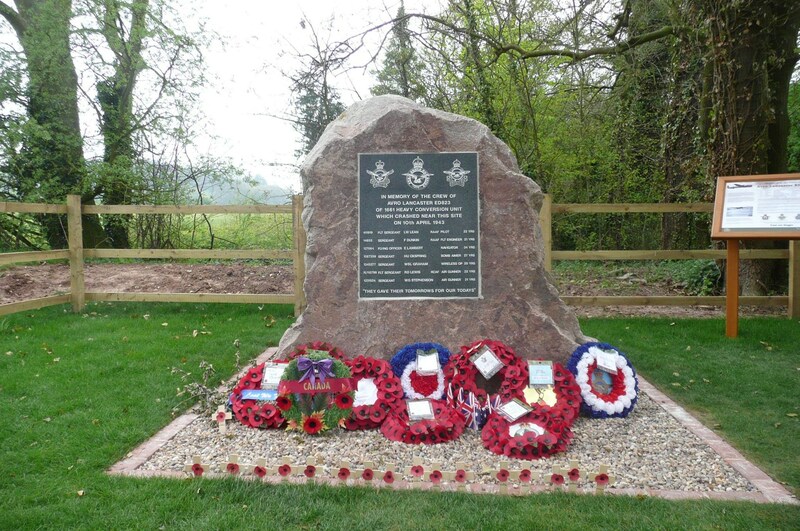 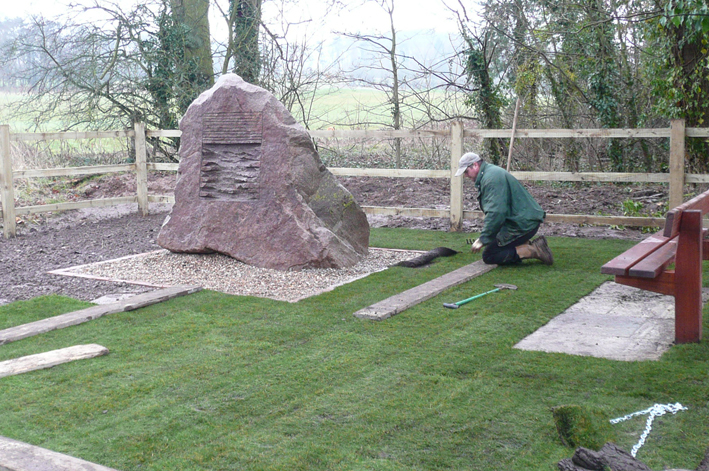 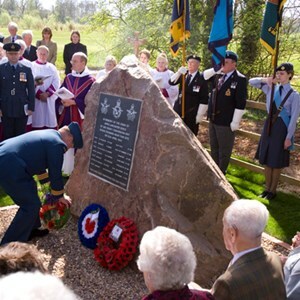 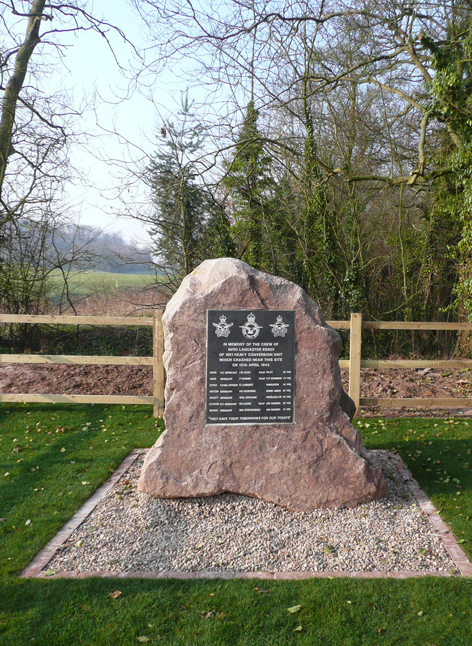 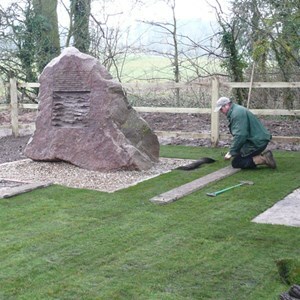 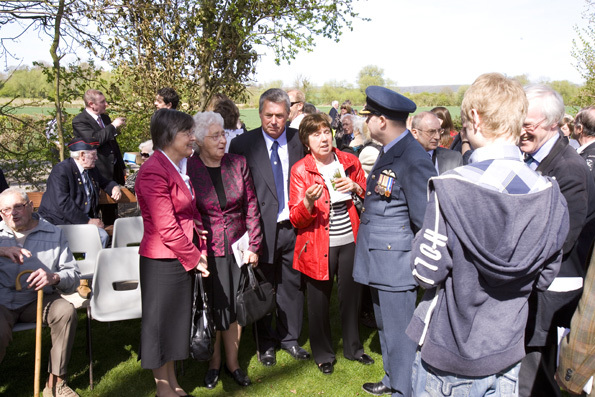 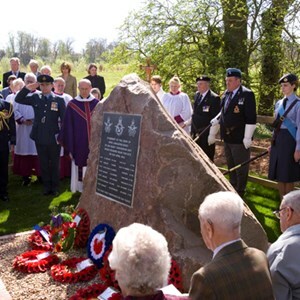 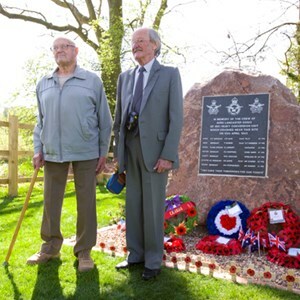 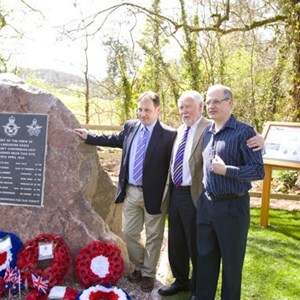 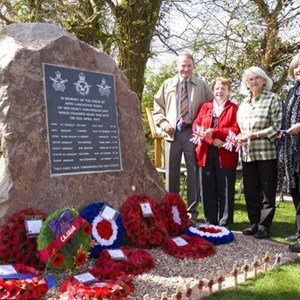 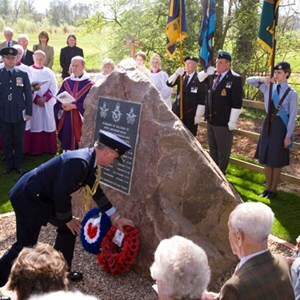 The memorial was dedicated on 10th April 2011 - 68 years to the day after the death of the seven airman. 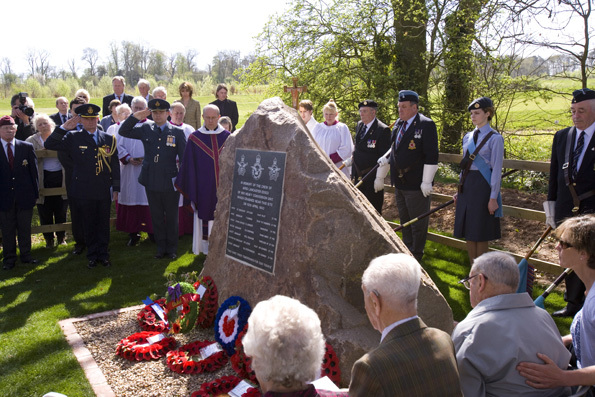 A Memorial Service was held in Halam Church, followed by a Dedication Ceremony at the memorial site. 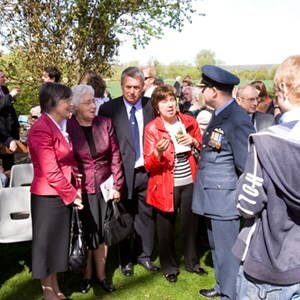 The event was well attended; there were family members and relatives of four of the seven crew members present, as well as representatives from the RAF and Australian and Canadian air forces. 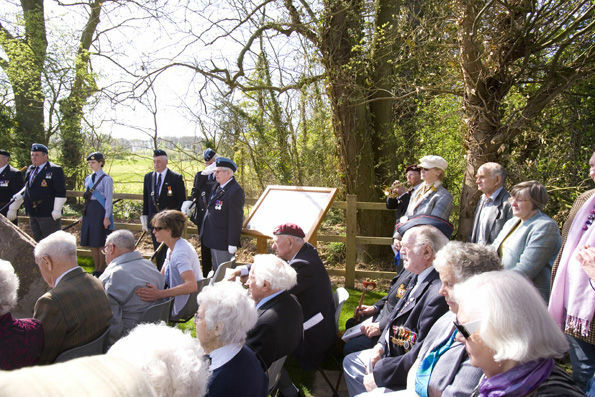 Over 200 people turned out on a gloriously sunny Spring day for the Dedication. 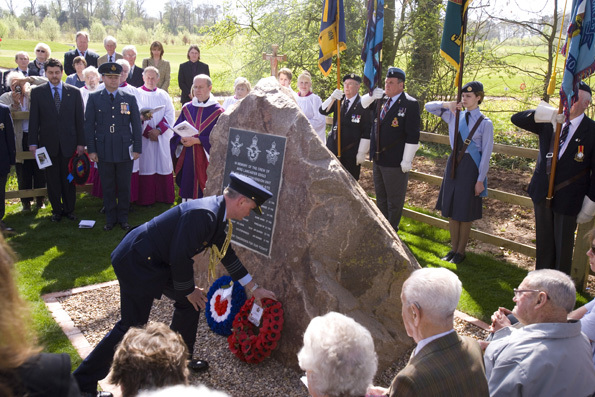 A copy of the order of service is available by clicking below.